The BPSim facility provides a way of simulating processes written in Business Process Model and Notation (BPMN) providing valuable results that can be used in process analysis. 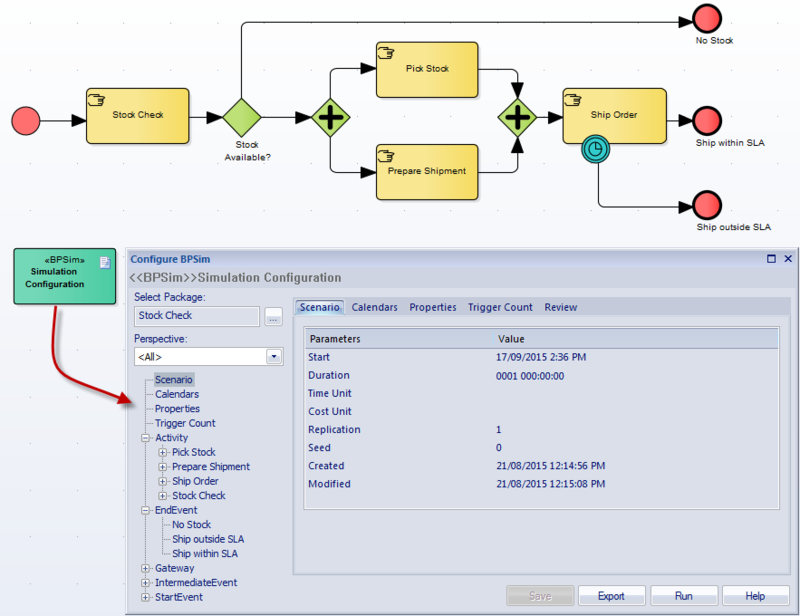 The BPMN models are augmented with extra data as parameters to the simulation. It allows structural and capacity analysis to be performed providing for pre and post execution optimization. Enterprise Architect allows you to construct the Business Process Models and enter the appropriate data which is then sent to a BPSim Simulation engine. Business Process Simulation is essentially used to mimic real world or planned processes in a model providing a low cost way of determining the effectiveness or value of a Business Process. An analyst can assign operating information to a model and then assess the quality or effectiveness of the solution based on information received back from the Simulation engine. Simulations can be run any number of times adjusting configuration information. The Simulation can be performed on current state and future state processes as required. It is common practice only to investigate critical or problematic processes.